Gallagher, S. 2018. Deep brain stimulation, self and relational autonomy. 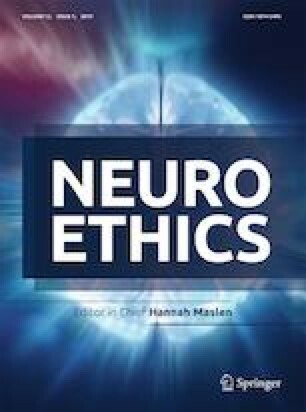 Neuroethics 1–13. https://doi.org/10.1007/s12152-018-9355-x. Gallagher, S., & Zahavi, D. 2005. Phenomenological approaches to self-consciousness. Retrieved from http://stanford.library.usyd.edu.au/archives/spr2012/entries/self-consciousness-phenomenological/. Accessed 2 Oct 2018. Kyselo, M. 2014. The body social: An enactive approach to the self. Frontiers in Psychology 5. https://doi.org/10.3389/fpsyg.2014.00986. Lucci, G., and M. Pazzaglia. 2015. Towards multiple interactions of inner and outer sensations in corporeal awareness. Frontiers in Human Neuroscience 9. https://doi.org/10.3389/fnhum.2015.00163. Murakami, Y. 2018. Phenomenological analysis of a Japanese professional caregiver specialized in patients with amyotrophic lateral sclerosis. Neuroethics. https://doi.org/10.1007/s12152-018-9379-2. Nizzi, M. C., Demertzi, A., Gosseries, O., Bruno, M. A., Jouen, F., & Laureys, S. 2011. From armchair to wheelchair: How patients with a locked-in syndrome integrate bodily changes in experienced identity. Consciousness and Cognition. http://www.sciencedirect.com/science/article/pii/S1053810011002704. Nizzi, M.-C., V. Blandin, and A. Demertzi. 2018. Attitudes towards personhood in the locked-in syndrome: From third- to first- person perspective and to interpersonal significance. Neuroethics. https://doi.org/10.1007/s12152-018-9375-6. Vidal, F. 2018. Phenomenology of the locked-in syndrome: An overview and some suggestions. Neuroethics. https://doi.org/10.1007/s12152-018-9388-1.